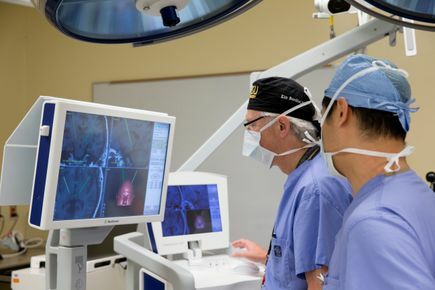 “It doesn’t take a rocket scientist, or a brain surgeon, to tell you that patients prefer it,” said Kim Burchiel, M.D., past chair and professor of neurosurgery in the OHSU School of Medicine. New research indicates the answer is, yes. A clinical outcome trial of 69 people who underwent deep brain stimulation, or DBS, surgery at OHSU, published in the journal Neurology, indicates that those who underwent the procedure while asleep experienced better clinical outcomes in terms of communication, cognition and speech. Further, there was no demonstrable difference in improvement of slowed movement, muscle rigidity or tremor between those who underwent asleep-DBS versus those who were awake during the procedure. 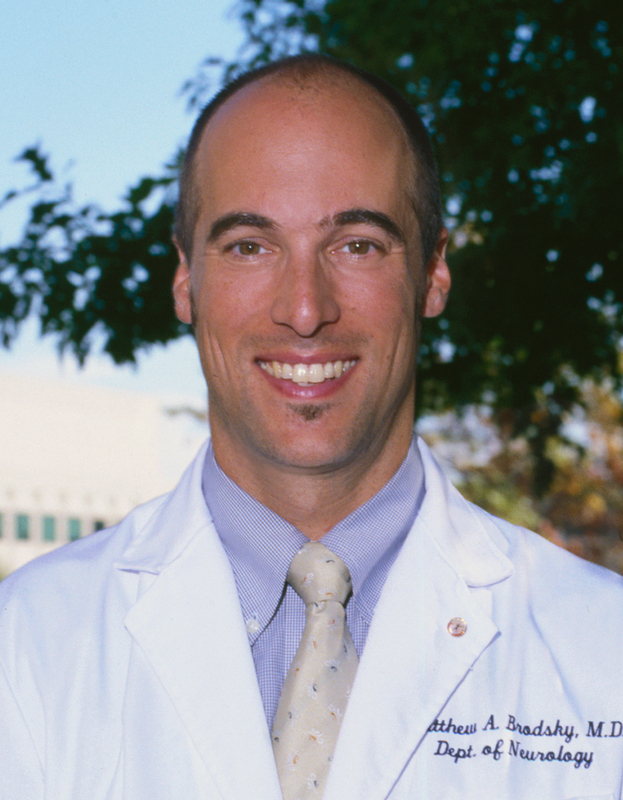 Lead author Matthew Brodsky, M.D., an associate professor of neurology in the OHSU School of Medicine and medical director of OHSU’s deep brain stimulation program, was specifically interested in improvements related to speech. “Patients undergoing asleep-DBS had improved speech versus patients undergoing awake DBS, whose speech fluency predictably worsened,” Brodsky said. Although OHSU is in the minority right now, Burchiel believes there will be a stampede to asleep-DBS among neurosurgeons worldwide within the next few years. 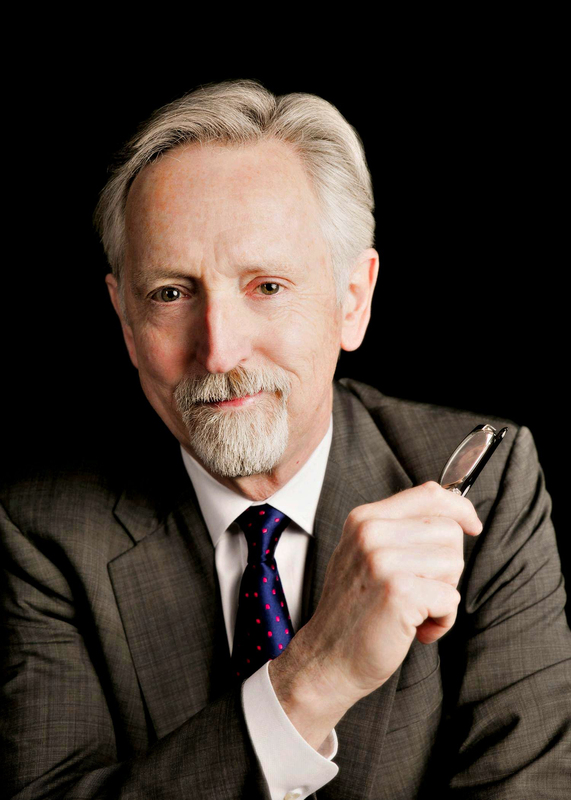 Burchiel carved out a reputation more than 25 years ago as the pioneer of deep brain stimulation, as the first physician to conduct the surgery in the United States. The surgery is now conducted in roughly 100 medical centers nationwide, including OHSU. 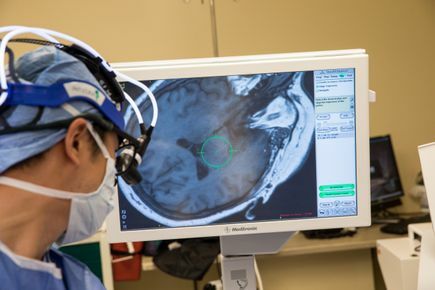 The waking version of the procedure involves the use of microelectrode recording, or MER, to identify the target for placing the stimulating electrode within the brain. This occurs while the patient is awake, to answer questions and validate effectiveness. However, these microelectrodes effectively require the neurosurgeon to send probes into the brain at least twice – once to map the territory with the MER and once to place the battery-powered electrode that will be left in the brain. The 56-year-old Seattle resident underwent deep brain stimulation surgery in September, and she has no recollection of the procedure after anesthetization in the operating room. Twenty days later, after clinical staff programmed her electrode, she experienced immediate relief from the dystonia that had hobbled her since her Parkinson’s diagnosis in 2013. Afterwards, she and her husband, Patrick Higgins, set out for a stroll across a Willamette River bridge near OHSU’s South Waterfront Campus. “I walked comfortably for the first time in five years,” she said. Evans realizes the procedure doesn’t cure Parkinson’s but only treats symptoms of her disease. Over the long term, she has reason for confidence that that OHSU’s scientists and physicians will further improve outcomes. The research in this study was funded in part, by Medtronic.